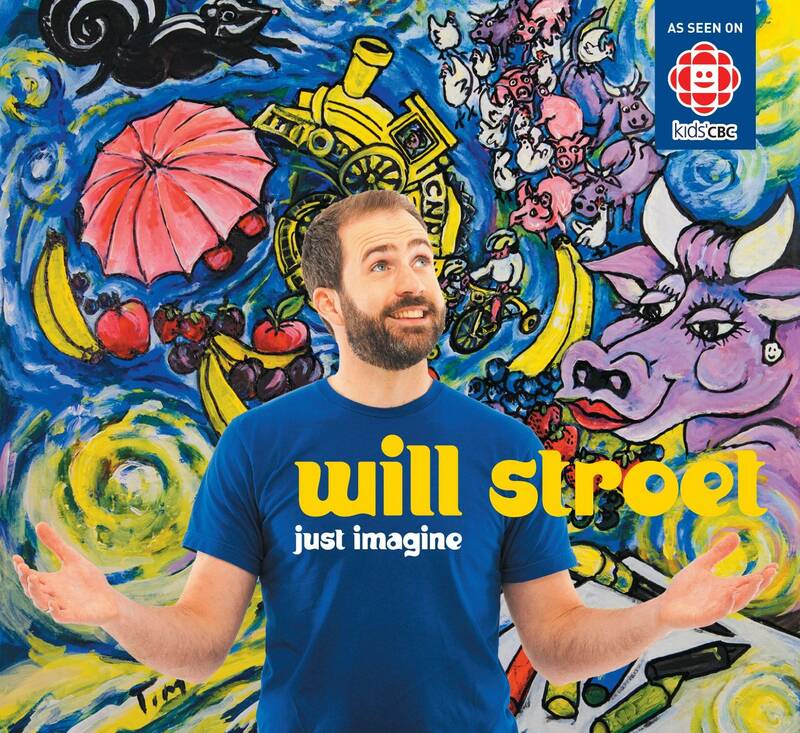 “Teacher – this one is about imagination!” My four year old daughter is talking excitedly with her teacher about the new Will Stroet album Just Imagine that we brought to our local Strong Start programme. Lately my four year old twins and I have also been enjoying Will’s compilation DVD featuring the music videos that you can see on Kids’ CBC. If you haven’t had a chance to hear Will’s music or see him in concert, you will want to know a few details. Will holds BA and B.Ed. 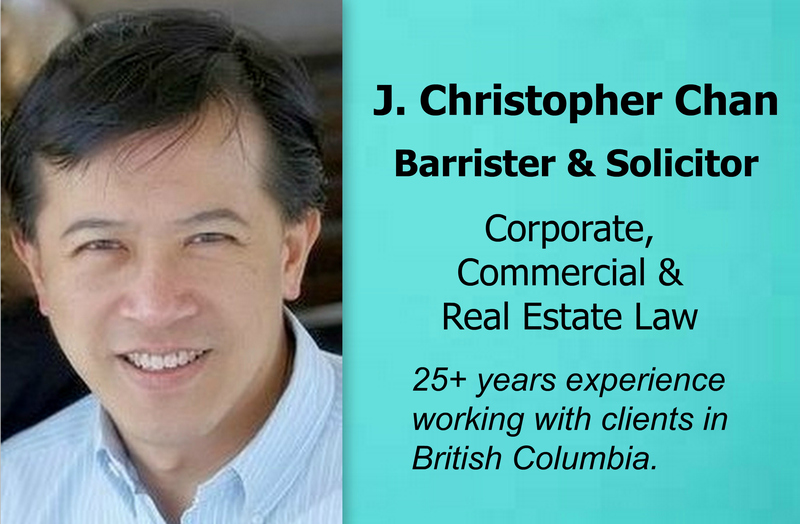 degrees from UBC and taught in BC public schools before he became a children’s music musician. 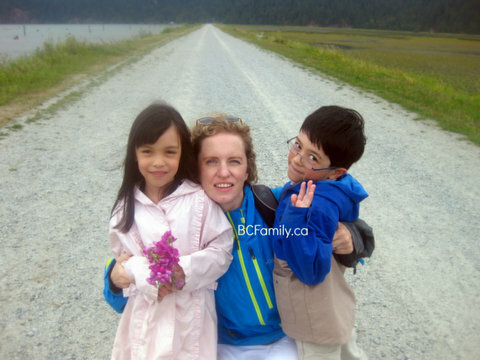 Will’s mum taught in the French Immersion system in British Columbia. In 2005 Will released his first CD “Let’s All Dance”. In the last eight years he has produced eight albums and a number of videos. These days you can find Will and the Backyard Band performing at concerts in British Columbia, Alberta and Ontario while they promote his English and French albums “Just Imagine” and “Imagine”. Here in British Columbia they appear in concerts, festivals and at schools for visits. 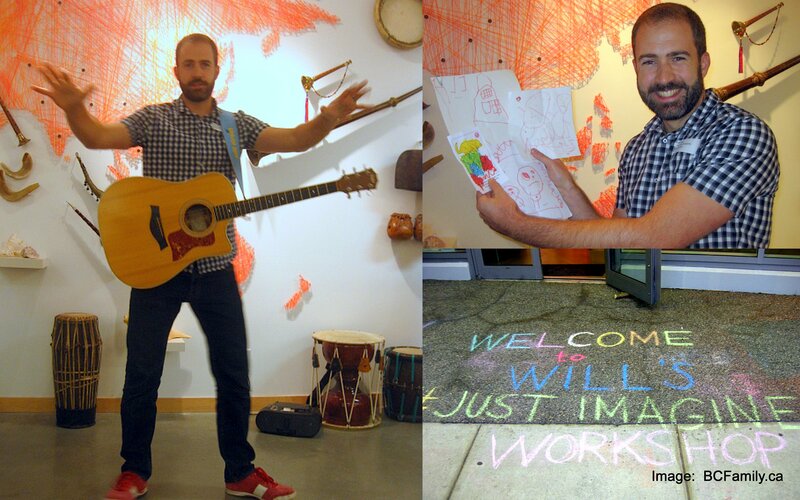 Will is a member of the Board of Directors at ArtStarts and is actively involved in the BC music scene. At our home we noted that the French version of Will’s song Bike Safety Boogie is featured on the Puntamayo CD “Kids World Party“. We LOVE Puntamayo CDs and listen, dance and run around to their CDs multiple times per day. 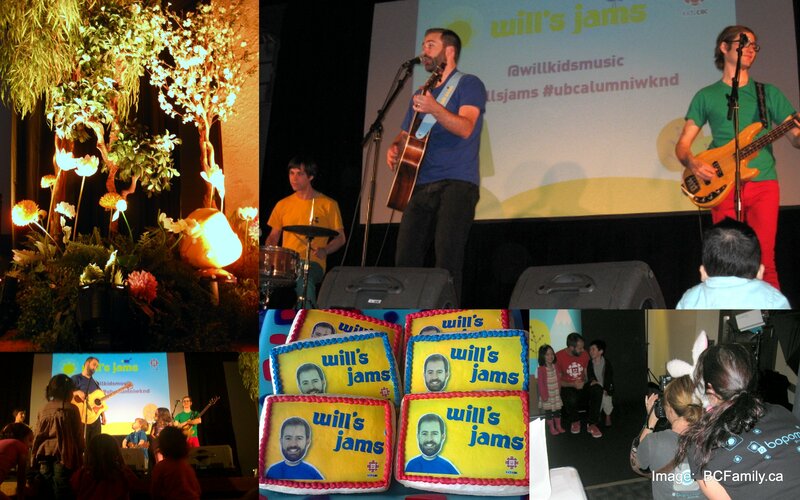 Will’s songs feature topics that are relevant to his young fans. Children love trains; ride their tricycles; think about the rain and umbrellas; like to colour; enjoy sports; think about fruits and vegetables; and, love to dance. These are just a few of the many topics that are featured on Will’s albums and in his music videos. The lyrics in Will’s songs are thoughtfully composed and have fun twists. Songs such as Trikers have a perspective that captures the essence of seeing the world through the eyes of a child. Will’s music – written in both English and French – is educational and encourages children to lead healthy, fun and creative lives. 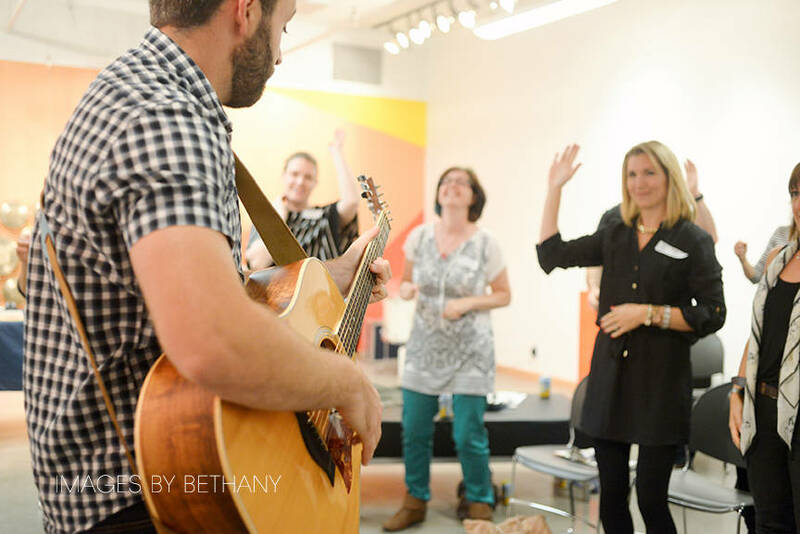 Recently Will gave a music workshop at ArtStarts and shared strategies about incorporating music into the daily life of families with children. Here are the ideas that Will passed on. 1. Do you like to sing songs that you have made up for an activity? Here’s an example we use every day at our house. My children love singing this with me as we head off to get washed up. Will explained that music can change an everyday activity into something fun that you share together. If you set your words to a known song, it can be easy to create new ones. The examples that Will gave were set to Frère Jacques; Twinkle, Twinkle Little Star; and, When the Saints Go Marching In. You can also create new tunes and focus on words that rhyme. Learning the actions to Will’s song Bike Safety Boogie at the ArtStart workshop. 2. Sometimes you will see a musician demonstrate movements for a song in a related music video. You can also make up dances with children that emphasize the words in the chorus. My son and I like to make movements to go along with the song I’ll Make a Man Out of You, from the Disney film Mulan. You can find Will’s suggestions for actions to go with Bike Safety Boogie on page 5 of his Study Guide. in his music video Jam, from the album Rock n’ Roll. Our children had the opportunity to attend the Will Stroet concert that was part of the UBC 2013 Alumni Weekend in the spring. We attended the reception before hand, when the children had an opportunity to meet Will and have their photograph taken with him. Before the concert started they watched some of the Will Stroet videos that are being shown in the early mornings on Kids’ CBC. During the concert they sat near the stage and then enjoyed the opportunity to go up on the stage at the end and dance along to Wills’ popular song I Want to Dance, from his album Let’s All Dance. They have been dancing along to his music every day since then. Here are a few other ideas that we like to do at home to enjoy experiencing music together. * Develop dances that are unique to that song. * Find times of the day when you and your family like to focus on listening to music. This doesn’t include meal times as music can distract from the task at hand – getting through the meal. * Remember to bring the CD for the car. Of course it would be nice to have an extra copy in the car but we don’t. * Look for other CDs we might not own at the library. You could request the transfer of a CD from a neighbouring library if your closest one doesn’t have it. How do you and the children in your life like to enjoy music together. Which one of the Will Stroet songs are your favourite? Has your family been to a Will Stroet concert? 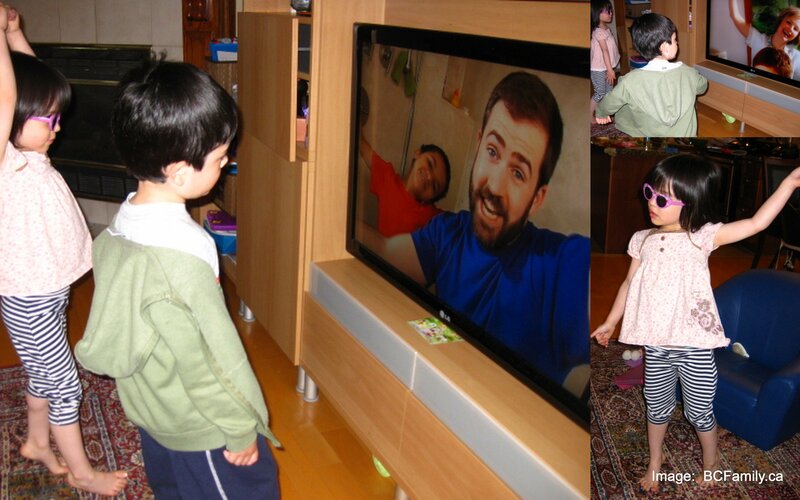 Have you seen his videos on TV? 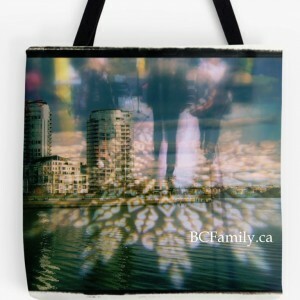 You can comment about this posting using the comment function below or on the BCFamily.ca Facebook page. 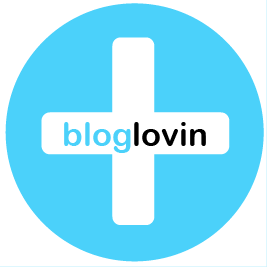 Your contribution matters so don’t be shy! Will’s Colouring Sheets appeal to children and are available for download on the resources page on his website. Will’s albums are available for puchase as digital downloads and CDs. Buy Will T-shirts in infant and toddler sizes. (100% cotton, printed in Canada). Disclosure: I received a copy of the new Just Imagine CD prior to writing this piece. 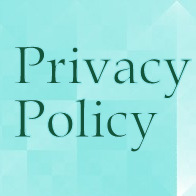 The opinions that I have shared on this page are my own.